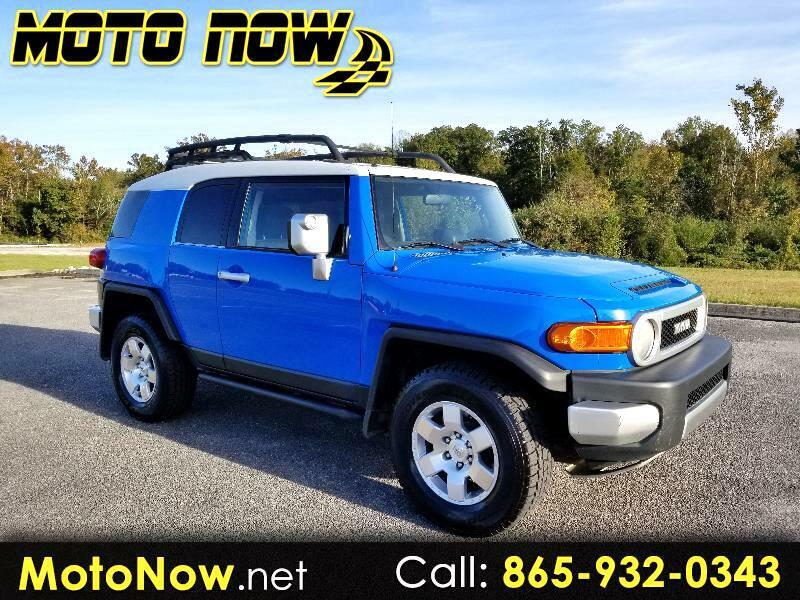 If you are of a certain age, you'll recognize the 2007 Toyota FJ Cruiser as the rebirth of an icon, the Toyota FJ 40, better known in North America as the original Land Cruiser. It was a rugged, go-anywhere vehicle, a sport utility vehicle decades before the genre had a name. You also may remember that the old Land Cruiser was the vehicle that kept Toyota viable in the North American automotive marketplace until the Japanese automaker finally figured out how to build passenger cars that Americans wanted. We don't need to tell you Toyota certainly figured out how to build vehicles Americans wanted, such as the Camry, Corolla, Tacoma, and luxurious Lexus models. On the other hand, if you are of a significantly younger age than graybeards nostalgic for manually locking hubs, you'll see the 2007 Toyota FJ Cruiser as something new and different and even unique on the road. The FJ Cruiser seats five. The front doors are standard, front-hinged doors. Rear-hinged access doors ease egress to the back seat and cargo area. Rear access to the cargo area is through a door hinged on the driver's side of the vehicle instead of a typical roof-hinged hatch-style closure. We found the FJ Cruiser superb in rugged terrain but comfortable on the road. Its V6 engine is more powerful than those used in the Hummer H3 and Jeep Wrangler Unlimited Rubicon. The all-new 2007 Toyota FJ Cruiser comes in just one model, but buyers can choose one of three drivetrains: A basic rear-wheel-drive version equipped with a five-speed automatic transmission, a part-time four-wheel-drive version with the same automatic transmission, or a full-time four-wheel-drive version with a six-speed manual transmission. Pricing is yet to be announced for a vehicle that should go on sale by March 2006, but Toyota promises that base models will start in the mid-$20,000 range and that a well-equipped 4x4 will be available in the low $30,000s. Toyota anticipates that nearly 70 percent of FJ Cruiser buyers will equip their vehicles with the optional Upgrade Package that includes 17-inch wheels and tires, a premium audio system, body-colored interior door trim panels, leather-wrapped steering wheel with audio controls, metal trim around the transmission and transfer case shift levers, a multi-information display and both A-TRAC four-wheel traction system and a locking rear differential. The other special option grouping is the Convenience Package that includes keyless entry, cruise control, power exterior mirrors with lights, privacy glass, a rear door with privacy glass and a wiper, a rear sonar (proximity alert) system and daytime running lights. Running boards and aluminum underbody protection plates are available, alon with an array of accessories, including a roof rack, side steps, rock rails, tow hitch receiver and 16-inch wheels for extreme off-road enthusiasts. Safety features include Toyota's STAR Safety System that includes anti-spin Vehicle Stability Control to help the vehicle go where the driver steers, traction control to reduce wheel slip and thus enhance traction, and anti-lock brakes with electronic brake-force distribution and brake assist. Side-curtain and front-seat side airbags are optional. Dual-stage front airbags are standard.